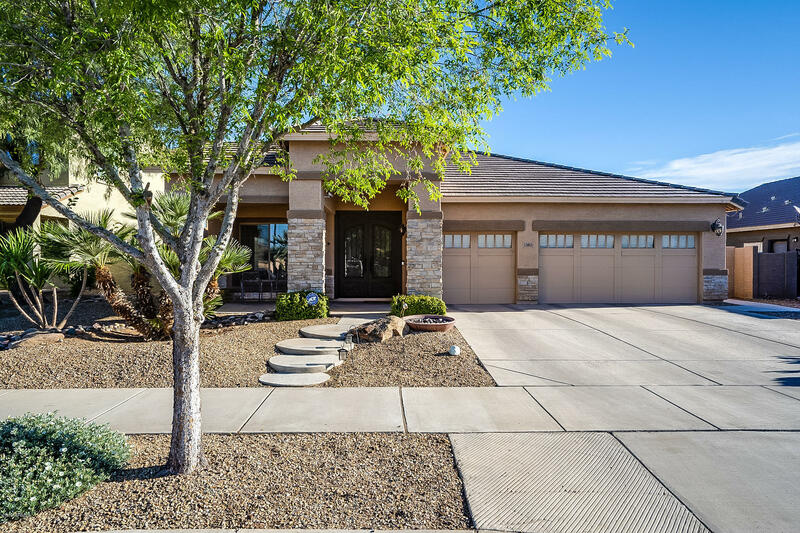 All Litchfield Manor homes currently listed for sale in Surprise as of 04/23/2019 are shown below. You can change the search criteria at any time by pressing the 'Change Search' button below. "Great Curb Appeal and fabulous custom iron front door. Enter into Formal living and dining rooms. Kitchen open to family room boasts center island with sink, eat in area, walk in pantry, granite, pendant lighting, stainless appliances and white cabinets. Tile throughout main areas of home, stone accents in family room. Popular split floor plan, master suite has separate shower/tub, dual sinks with separate vanities and spacious walk in closet. Entertainers backyard with low maintenance, built"